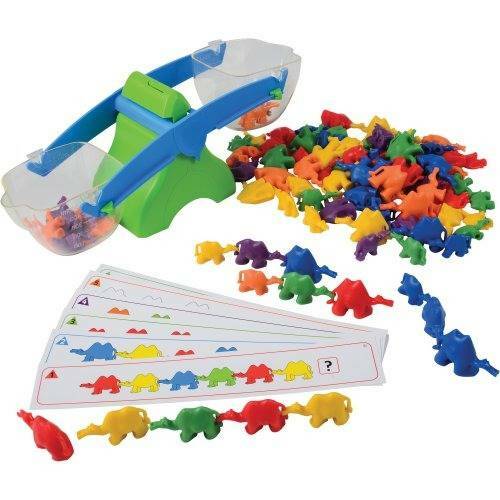 Connecting Camels 117 piece math set allows for the exploration of counting and sorting, measurement, size recognition and more. Includes 96 piece set of camels in three sizes, three weights (5g, 10g, 15g) and six colors. 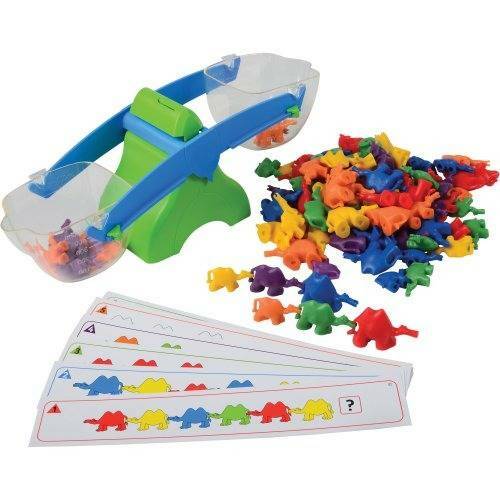 Teach sequencing and patterns with the 20 laminated sequencing cards. 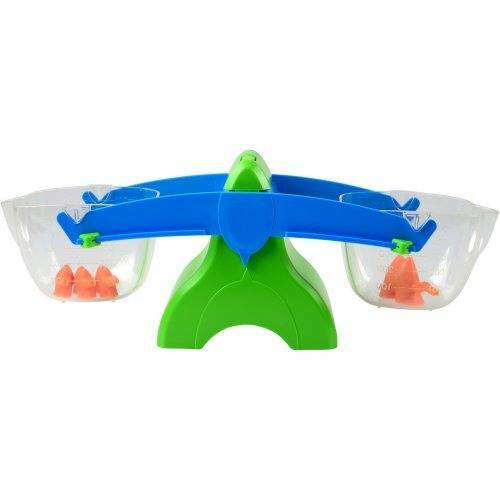 The Bucket Balance is a durable plastic balance with clear removable graduated buckets that hold solids or liquids up to 500mL. The includes slide compensator allows for accurate measurement.